Check out our take on the unique tone of The Police in our Legends of Tone: Andy Summers video. Initially formed as a punk band in 1977 London, The Police grew to become some of the most influential stalwarts of British rock before disbanding in 1986. In this edition of Legends of Tone, we take a look at the gear that inspired Andy Summers' inventive guitar playing -- from vintage Telecasters to warbly tape echoes -- and share our picks for the best modern gear to replicate his iconic tone. Learn even more about what goes into The Police's legendary tones on the zZounds Blog! Andy Summers’ shimmering, echoey guitar work for The Police provided an ideal tonal palette for his jazz and reggae-inspired chord progressions, and became a touchstone for the quintessential guitar sound of the '80s and beyond. A '61 Fender Telecaster became the core of Summers' rig for The Police, making for an ideal bedrock to build his effect-laden sound. 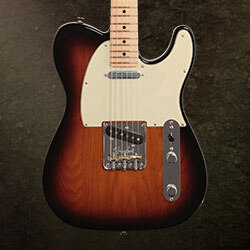 These days, a '61 Tele is hard to come by, but this Fender American Pro Telecaster is a worthy stand-in. Loaded with custom-voiced Fender V-Mod pickups in a traditional Tele configuration, this guitar easily replicates the chime of Summers' Police tone. During his time with The Police, Andy Summers was known for using a pair of Marshall JMP 1959 Super Lead heads with matching 1960A cabinets. The Super Lead's wealth of volume and clean headroom makes it the perfect pedal platform, suitable for Summers' arsenal of delay and modulation effects which were key components of The Police's sound. 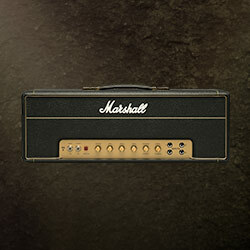 A readily available substitute for the JMP 1959 Super Lead is the Marshall 1987XL Plexi. With 50 watts of EL34 power, the 1987XL delivers the same vibrant, effect-friendly tone as its Super Lead ancestor -- at a more manageable volume. The key to Summers’ especially sparkling tone on songs like "Walking on the Moon" comes down to his use of effects. 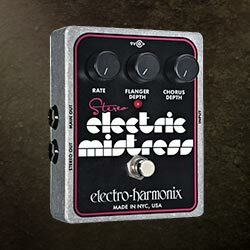 One of his most-used stompboxes on Police recordings was the Electro-Harmonix Electric Mistress. While this pedal technically a flanger, Summers generally employed it as a more chorus-like effect in lieu of the usual flanging sweep. The modern Stereo Electric Mistress is a pretty accurate version of what Andy Summers would have used in The Police days. By dialing back the "flanger depth" and leaning more into the "chorus depth" knob, you can easily recreate his chorus-heavy flanger sound. A constant of Summers' rig for The Police was the standalone Echoplex unit. Always onstage, the Echoplex was set up to produce a distinct rythmic echo, particularly apparent on songs like "Can't Stand Losing You." Combined with reverb and various modulation effects, the use of the Echoplex contributed to the development of Andy Summers' unique, definitive style. The original Maestro Echoplex was a standalone tape delay unit that employed vacuum tubes and an actual moving-head tape unit. 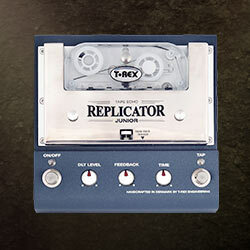 While actual Echoplex units are no longer made, pedals like the T-Rex Replicator Jr make it possible to replicate that distinct, warbly tape echo sound. 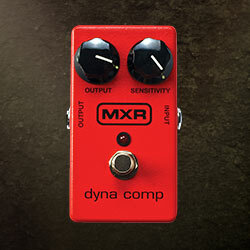 The MXR M102 DynaComp hasn't changed much since the late '70s, when The Police first started. With two simple controls for output and sensitivity, you can easily dial in Andy Summers' compression sound. Just set each knob at about one o'clock, and you'll have the sustain and consistency needed to maintain Andy's shimmering top end.